1) the future of work; 2) infrastructure for development; and 3) a sustainable food future. Climate change affects and is affected by each of these priorities and thus must be an important focus for working groups under the Sherpa and the Finance Tracks this year. 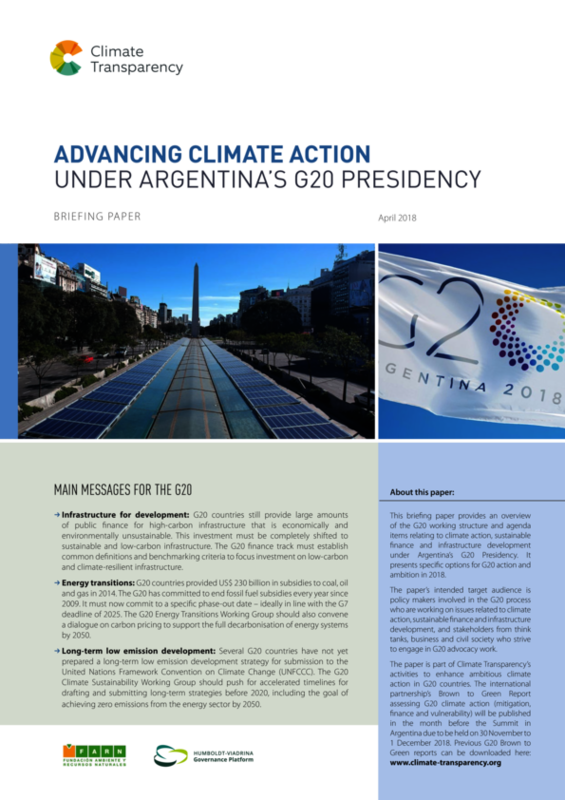 This briefing paper provides an overview of the G20 working structure and agenda items relating to climate action, sustainable finance and infrastructure development under Argentina’s G20 Presidency. It presents specific options for G20 action and ambition in 2018.